As spotted by Patently Apple, the document was revealed yesterday by the US Patent and Trademark Office. It was originally filed back in early 2017. Some smartwatches make it difficult to change the look depending on the mood or occasion. Others, such as those by Fitbit and Apple, come with a quick release mechanism that make this simple. Google’s system should make switching bands a breeze. 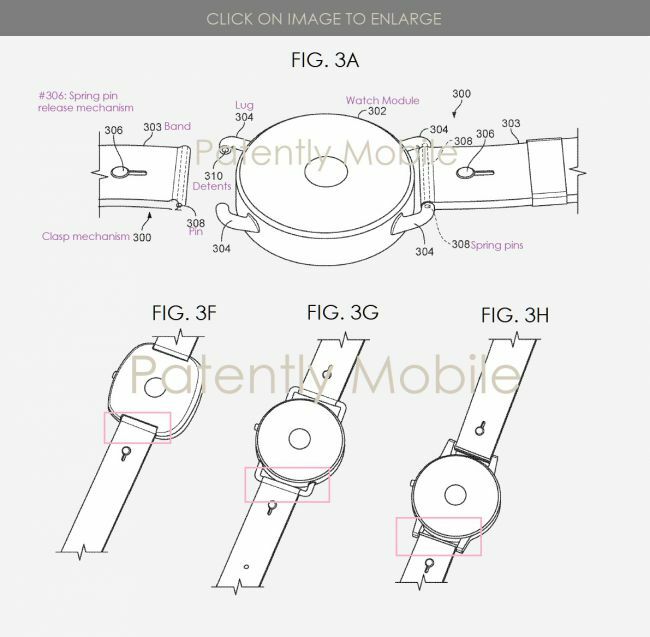 It involves an innovative clasp mechanism designed to allow Pixel Watch owners to release straps at the push of a button. The images below show how this would work. The first diagram uses spring-loaded pins to keep everything firmly in place, the second uses magnets. It’s worth mentioning, the patent doesn’t specifically refer to the rumored Pixel Watch. But it does show a watch. Rumors of a Google branded timepiece have been around for a couple of years now. Probably since this patent was filed, if not earlier. Hopes resurfaced this year with Google’s acquisition of Fossil smartwatch tech in January, clues spotted by code watchers and new job postings. Japanese news outlet the Nikkei Asian Review underscored these rumors in an article back in February. “The company will also roll out an updated version of its signature smart speaker Google Home this year, as well as a new smartwatch to compete with the Apple Watch, the person familiar with the plan said.” Nikkei’s article reads. It is not yet clear whether we will see the launch of a Google branded timepiece this year. But if we do, most bets are it will be during the Google Pixel 4 event in October.